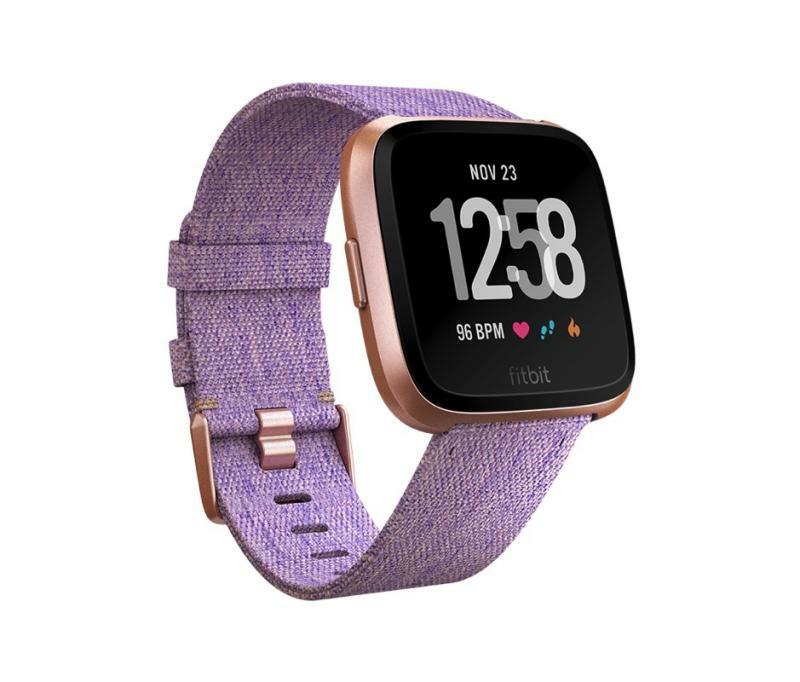 Fitbit on Tuesday unveiled its newest Apple Watch competitor that sells for just $199.99. The Versa looks just like Apple’s wearable from a distance, but also like the Pebble Steel. Upon closer inspection, you’ll quickly discover it’s not a Watch clone, but it’s not a spitting image of a Pebble either. The Versa is available to order right away, comes in various finishes, and will ship to your door in about a month. Fitbit may have killed the Pebble when it bought parts of the company years ago, but it certainly didn’t kill its own smartwatch plans. The Versa watch has a square display that will remind you more of Pebble’s most recent devices than of the Apple Watch. The overall design, however, is apparently inspired by Apple’s designs when it comes to material choices, color options, and finishes. The $199.95 Versa is made of aluminum and comes in five distinct finishes including black, rose gold, and silver. For $30 extra, you can get a Special Edition model in either Graphite Aluminum or Rose Gold, both with woven bands. The watch comes in one size only but ships with small and large bands in the box. The device works with iPhone and Android handsets, and just like its competitors, offers users access to a variety of apps including sports, music, NFC payments, and navigation, as well as support for smartphone notifications. The fitness features built into smartwatches are one reason why these devices are so popular. The Versa promises to automatically track exercises, including running and biking. It also monitors heart rate, calories, daily activities, and tracks sleeping pattern and sleep stages. The watch is water resistant to 50 meters and can be used to track swimming sessions as well. Female users can use the Fitbit app and the Versa to keep track of periods and record symptoms. Apple Watch-like tricks are also included in the Versa experience. The watch will offer personalized reminders to get you moving and stick to schedules, and provide “guided breathing sessions.” Like the Apple Watch, you’ll be able to customize the clockface and choose from a variety of accessory bands, including leather, metal, and woven ones. Unlike the Apple Watch, the Versa has a much better battery life, lasting for at least four days on a charge, according to the company. Running the show is Fitbit OS, and the device will need an accompanying app on iPhone or Android to work. It also comes with its own app store.